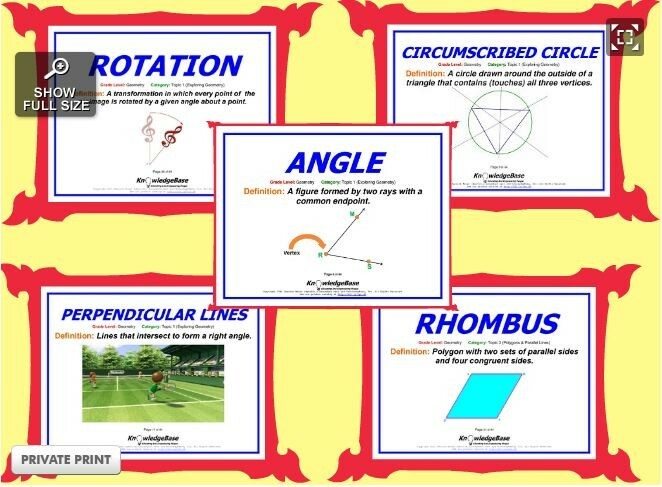 I created this picture collage at Glogster that has illustrations and descriptions of some common math concepts. It is shown on the right or you can click here to see it on the Glogster website. A Rotation is a transformation that turns a figure about a fixed point. See this for more help. In geometry, the circumscribed circle or circumcircle of a polygon is a circle which passes through all the vertices of the polygon. The center of this circle is called the circumcenter and its radius is called the circumradius. Below is a video tutorial explaining properties of circumscribed circles and how they differ from inscribed circles. Time-saving video on how to define and draw circumscribed and inscribed circles in polygons. Examples show the difference between circumscribed and inscribed circles. Check out this site for more information and a cool tool for experimenting with angle sizes. 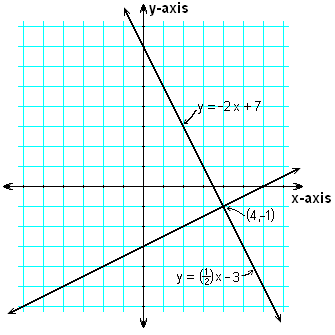 When two lines are perpendicular, the slope of one is the negative reciprocal of the other. If the slope of one line is m, the slope of the other is -1/m. Click here for more help and a tool for experimenting with lines. A rhombus is a polygon with two sets of parallel sides and four congruent sides. Look here for additional information.